Formative assessments play a key role in assessing the understanding of learners at the end of each unit or topic of an online course and reinforce learning. However, even though learners gain high scores in the assessment, it might not guarantee complete understanding of the topic. We have to ensure assessments are designed properly and test learners as intended. This is where learning analytics helps. Want to know how? 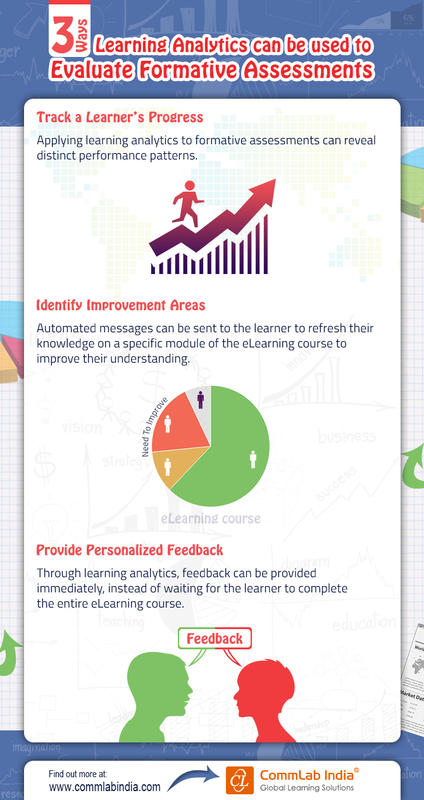 Check our infographic to know 3 ways learning analytics can be used to evaluate formative assessments.